Author: Jan de Vries; Format: Paperback; ISBN: 9780521719254; Publisher: Cambridge University Press; Release Date: 2009; Length: 327 pages; Other: Reprint. Condition: Like New. Cover, binding, and pages are all still in excellent shape. Practically perfect! Same cover design as that shown here. This book examines how the activation and evolution of consumer demand shaped the course of economic development, focusing specifically on the household economy. 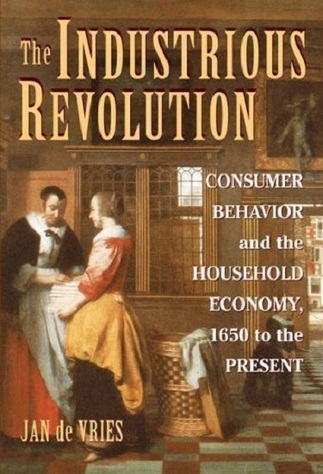 The author's research traces how this 'industrious revolution' fundamentally altered the material cultures of Europe and North America and suggests important revisions to existing consumer theory.